When it comes to expanding the knowledge and skills of UFT members, no one does it better than the union's Educational Programs. 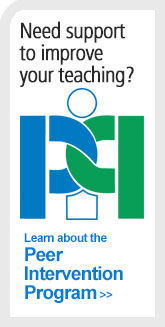 The UFT Course Catalog offers courses and workshops to meet the needs all educators. 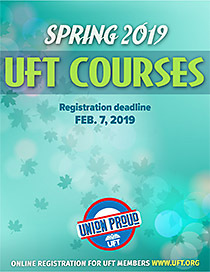 Please note: You must be logged in to uft.org in order to access the online course catalog. As a state-approved provider of Continuing Teacher and Leader Education (CTLE) hours, the UFT's LearnUFT program offers low-cost professional learning opportunities specifically designed to meet our members’ needs. State regulations now require all teachers who hold professional certificates and paraprofessionals who hold Level III teaching assistant certificates to collect and track 100 professional development hours (known as CTLE hours) by a state-approved provider in five-year cycles. If you need assistance, contact the UFT Course Program at 212-475-3737, 9 a.m. - 5 p.m.